This story was fun (the very unlikely premise clued me in to its over-the-top nature) and I was rooting for Donovan, hoping that everything would somehow work out for him, even though it seemed impossible. 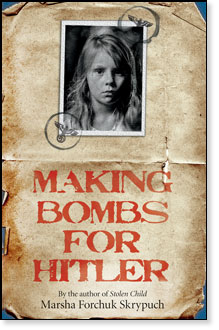 I did have to check the chapter titles carefully, because this book is written from the perspectives of several different characters, including some adults, even though it was sometimes hard to tell from the voice. 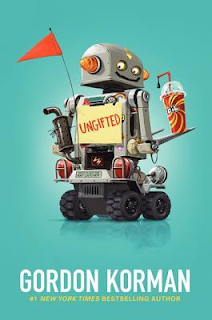 And I should mention that there have been some controversial reviews of this book because of the stereotypical way the gifted students are portrayed (for example, Book Review: Ungifted by Gordon Korman at The Book Smugglers). But for me, it was an entertaining read that was full of humour. As a writer, I’d study the dialogue – it seemed so authentic. I’d also read this again for another look at creating humor, something that’s challenging but Korman pulls off so seemingly easily. One of the things that thrills me about reading is looking forward to opening a book and finding a new story or character to love. My night table and its too-tall book stack is like a treasure chest of experiences and I get to pick the treasure I want right now. But I also have all the other treasures waiting for me, whenever I'm ready. So how exciting was it to get a package today with FOUR books that I've been looking forward to experiencing. It's hard to know where to start! My 13-year-old scooped up The Runaway King right away (I'll have to pry it out of her hands later), but I have three others to choose from. I've already read Legend and See You At Harry's, but I wanted my own copies so I can re-read them anytime. 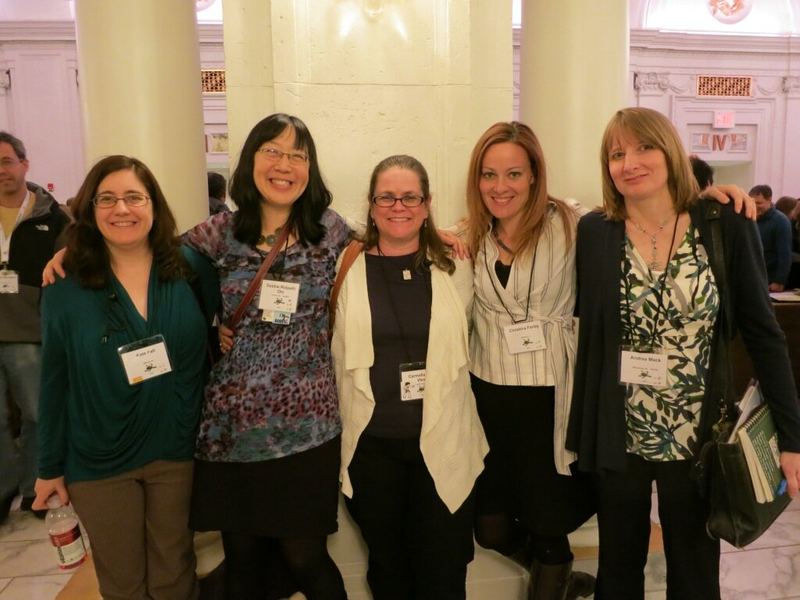 I'm also excited to explore the illustrations in The Bird King, especially after hearing Shaun Tan speak at SCBWI-NY. Sorry, iPad. Tonight is all about holding a good book in my hands. I think if I ever get a novel published, one of the best "reviews" I could get would be to hear that someone loves my book so much just signing it out from the library isn't good enough. They need to have their own copy to enjoy over and over again. Of course, I'm not yet in the position where I have to worry about people reviewing my novels. But in case you are, over at MiG Writers, Carmella Van Vleet has ten sensible tips for how to keep cool when your reviews come out in Dealing with Reviews. It strikes me that these tips are also pretty good for any circumstances when you have to put your writing out there for someone to give an opinion on. Do you have a good book to sink into this weekend? Happy reading! 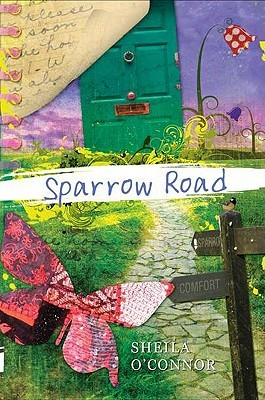 I enjoyed this book about Raine working to figure out what it means to have a family and where she fits in the world. It’s a quieter story, but the author does a wonderful job of holding the reader’s attention through creating an authentic main character. As a writer, I loved the unique descriptive phrases the author used, as well as the distinctive story voice. I’d read this novel again to learn about word choice and phrasing, because the words seem to be chosen with a lot of care to create lovely images. Sheila O’Connor was born in Minneapolis, Minnesota and lives there now. She started writing when she was in fourth grade. For more, visit Sheila O’Connor’s website. In case you missed it, Tara Gonzales, a new agent at the Larsen Pomada Literary Agency, accepts submissions for picture books, middle grade and young adult works. 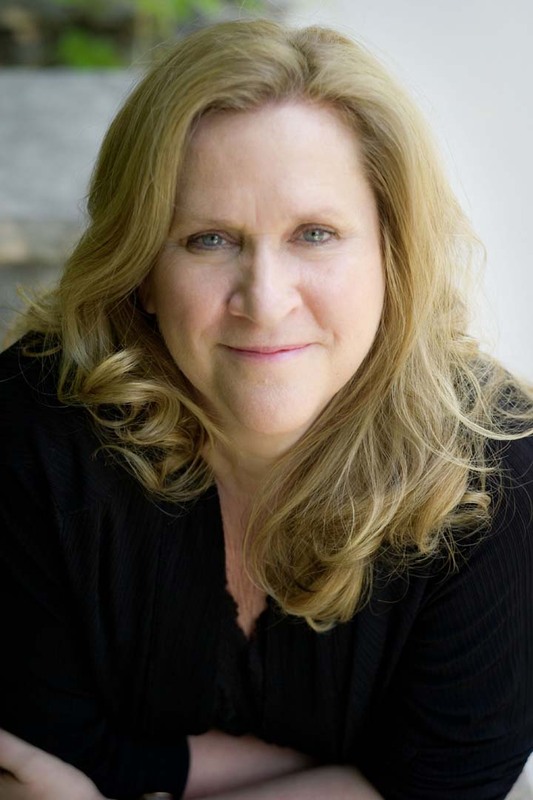 For more details, check out Introducing Agent Tara Gonzalez over at Kris Asselin's blog. 1) James Scott Bell at the KillZone on How to Work on More Than One Book At A Time. I'm always on the lookout for ways to get more writing finished. After reading this, now I’m determined not only to make sure I finish at least one scene of my work-in-progress every day (my latest middle grade novel) but also to spend a little time working on a different project (even if it’s only doodling in my notebook while I watch TV). 2) People Who Are Not Like You by author Patricia C. Wrede, on how to write characters that are not like yourself. It’s much easier to assume a character has some of your own background and experiences. I realize I need to examine my characters even more closely to make sure the non-me parts are believable. 3) Since my new not-yet-started project has some fairytale elements, I found the latest Writing Excuses podcast on Retellings and Adaptations so useful I listened to it twice. I especially liked the idea of playing around with a plot that already works to create a new story. Did you come across anything that gave you a new perspective this week? 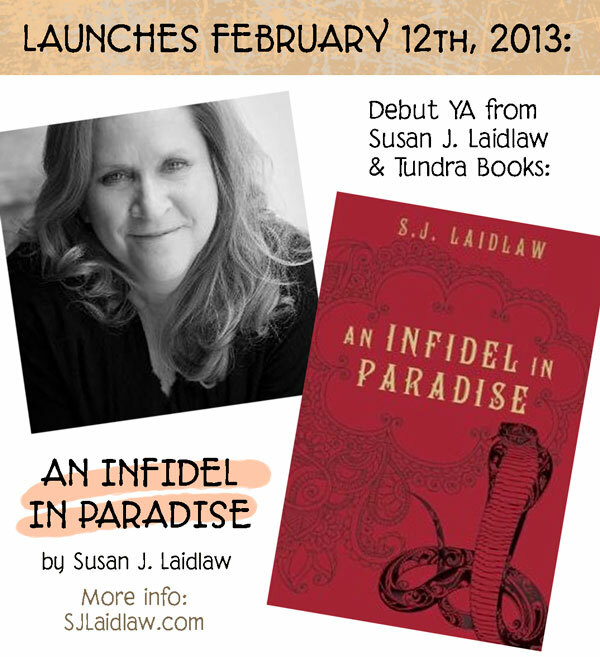 Yesterday was the release day for AN INFIDEL IN PARADISE, a YA novel from Tundra Books, written by MiG Writer, Susan J. Laidlaw! Yay, Susan! "I've wanted to be a writer since I was a child. I actually studied journalism for a year but switched to English when I realized I wanted to write fiction." "The hardest thing about writing this book was to make Emma, a rotational kid, comprehensible to people who haven't had her experience of moving around. Emma's an angry, alienated and depressed kid, in the throes of culture shock. But just like the hundreds of kids I've worked with, she's going to confront people who don't have the ability to empathize with her situation." "I don't think a reader needs to have experienced Emma's life to identify with her pain. They only need to be capable of empathy and most teens have plenty of that." "...when a kid comes into my office, angry or depressed because her parents have moved her yet again, I feel an immediate connection that transcends my usual empathetic response to an unhappy kid. As much as I love moving around, and despite the fact that I willfully subjected my own children to this lifestyle, I feel that child's pain with every fibre of my being. But can I communicate that to a reader in a meaningful way? There's the challenge." 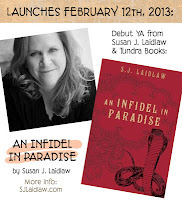 For the full interview, check out my post over at MiG Writers: An Interview With Susan J. Laidlaw author of AN INFIDEL IN PARADISE. It's only a few days after my amazing experience at SCBWI New York, but I know it's going to inspire me for weeks to come. "There comes a point in every writer's career where the writer must make a choice to give up, or to keep going no matter what. And if you're going to keep going, go all the way." This is so true. It's like playing a sport or being a parent or teaching a class. If you're going to do something, you might as well give it all you've got. Get the most out of it. Do what you can to make it your best. Especially if it's something you love and something you want to succeed at. I've never come across moths featured in a story before (and I wasn't enthusiastic at first, since I'm not too fond of moths), but I liked the humour in this story. I also liked Margaret’s ability to listen to the “very smallest of sounds” in nature. 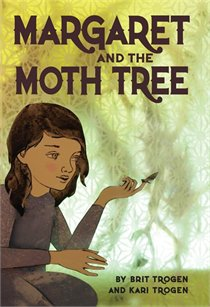 Although the storyline of an orphan meeting up with an evil matron at an orphanage is not new, Margaret’s personality and the unique element of the moths kept me reading. The story had a magical feel to it that I think will appeal to younger middle grade readers. The voice in this novel draws you in. As a writer, I studied the way the authors included specific details to add humor and personality, such as Miss Switch admiring her “own glittery reflection” or a girl smiling at Margaret with “the type of smile a hyena might give a tasty mutton chop”. Although writers are often warned to use adjectives and adverbs sparingly, here they are used effectively to create a specific writing style. Brit Trogen and Kari Trogen are sisters. Kari lives in Toronto and has been writing stories since she was in elementary school. Brit lives in New York and studied biology before she became a writer. According to the publisher’s website, the two sisters came up with the story on a trip through New Brunswick, Canada. This is their first novel. This book is nominated for the Ontario Library Association's Forest of Reading in the Silver Birch Express (Fiction) category for 2013.